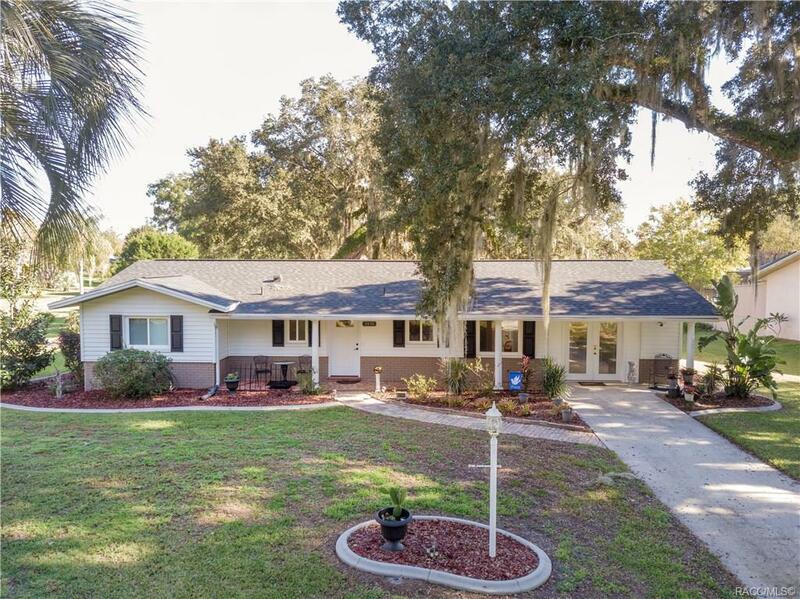 Here's the STUNNING LAKEFRONT HOME you've been looking for on beautiful Duval Island with access to a chain of 5 lakes for all of you boating and/or fishing enthusiasts! Indulge yourself with a morning cup of coffee while enjoying a breathtaking sunrise view from your screened lanai or from your very own private dock OR just jump in your boat from your covered boat slip & enjoy the smooth lake waters with a fishing pole in your hand! This home boasts 3 bedrooms, 2 full baths, enclosed FL Rm & Enclosed porch with lake views, new roof in 2017, new double-pane, insulated windows in 2014, new kitchen wood cabinets & granite counter tops, some laminate flooring, a pavered front walkway & stone accent on the front porch, gutters with downspouts & a 10'x20' shed in the back yard for your tools & toys. Beautifully landscaped & ready to enjoy as your new Florida waterfront homestead! Close to Inverness, nature coast rivers, lakes & trails. Just a 30-minute drive to access the Gulf! Directions: Hwy 41s To Floral City. Left On E Orange Ave, Bare Left On Orange Ave, Turns Into Duval Rd. First Right After Bridge Onto Tsala Apopka, Left At T. Stay On Tsala Apopka To Home On Right.